Krispy Kreme have been up to stealth mode antics again and have seemingly released 2 new nutty doughnuts without shouting from the roof tops about it. 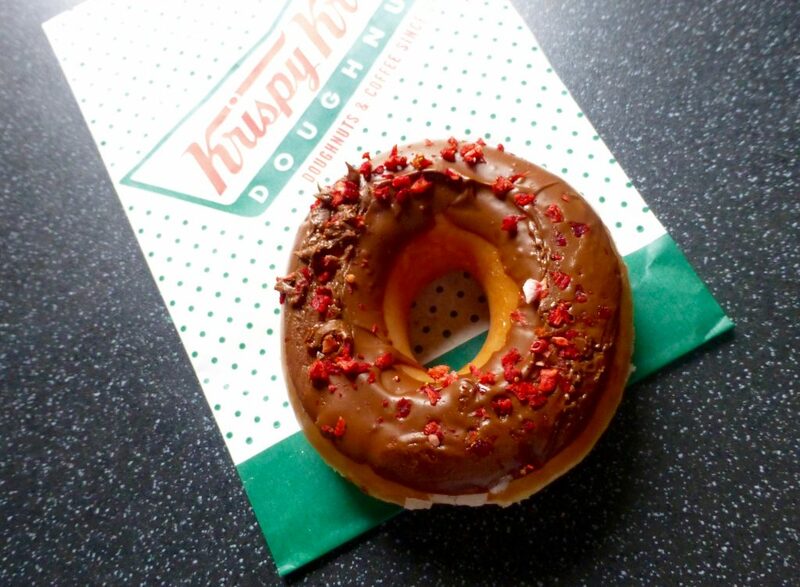 You would have thought given the who-ha over the release of the Nutella Doughnut that they may have made more of a deal about their new additions – Krispy Kreme Nutty Strawberry and Nutty Chocolate. That’s not all that is new to Krispy Kreme, oh no we also have a new promotion – Krispy Kreme Bingo. If you haven’t a clue what this is even about let me enlighten you.. Since Monday 18th July Krispy Kreme have been giving its fans the chance to win up to £5,000 as well as instant prizes that include doughnuts, naturally. Depending on what you buy will determine your bingo chances. The minimum you’ll get from the Bingo Cards are 3 bingo balls, but buy a dozen and the code will be inside the box and guarantees you 12 bingo balls. Register your details here, pop your unique code in and match the balls to the numbers on your cards. Complete a line of 5 and BINGO get super excited because you have won a prize and unlocked one of their 75,000 instant win Bonus Balls. The more times you buy doughnuts or coffee, the more chance you have of winning. Simple. If there was ever an excuse needed to buy doughnuts this could be it. Who doesn’t want to be in with the chance to win doughnuts and cash prizes? Onto the Nutty Strawberry doughnut. Visually it looked rather pretty and one of the reasons I opted for this one rather than its hazelnut topped compadre, was the addition of strawberries. Taking their already scrummy Original Glazed they have decided to dip it in a hazelnut & cocoa topping & sprinkle with freeze dried strawberries. 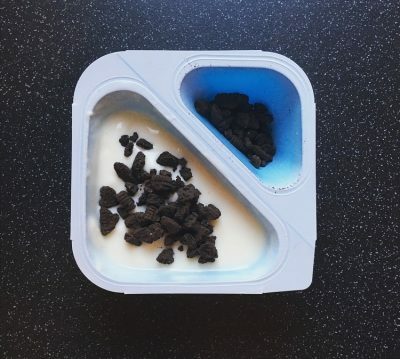 Nothing ground breaking but I do find this far more appealing than the Nutty Chocolatta. As expected I was met with a lot of sweetness from the fluffy soft doughnut which was added to by the sweetness from the chocolate topping. The topping itself was relatively thick, soft and a little gooey, and had that signature nuttiness to it. My problem lies with the strawberries. They don’t exactly bring much to the table aside from a little chewiness. Their flavour can be detected on its own but sadly is completely lost against the cocoa hazelnut coating. As a whole this is one sickly sweet nutty doughnut and I am not convinced that its counterpart would be any less so. 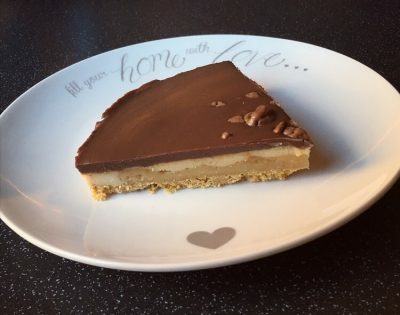 Although its a tasty doughnut and serves its nutty purpose, it isn’t anything to rave about, nor is the Nutty Chocolate which Miss Snack Warrior reviewed a little while back. 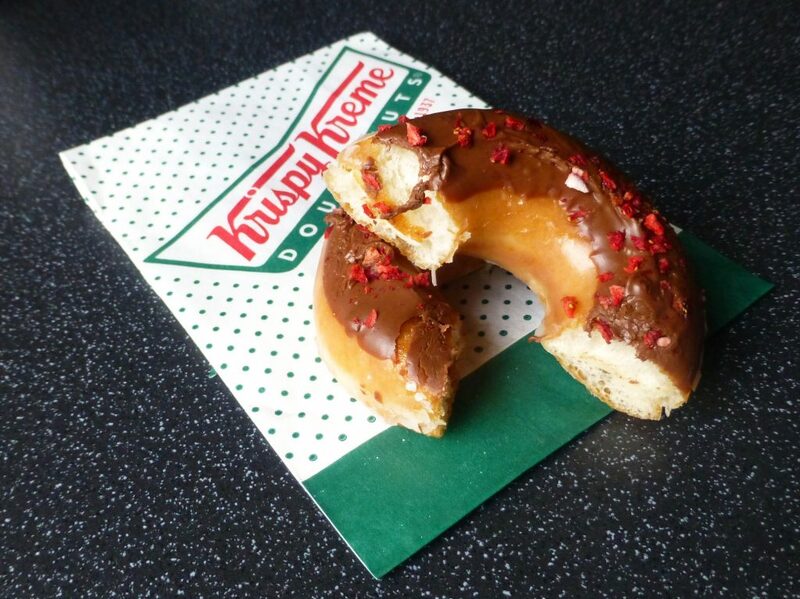 It seems perhaps Krispy Kreme may have missed a bit of a trick here, would anyone else agree? 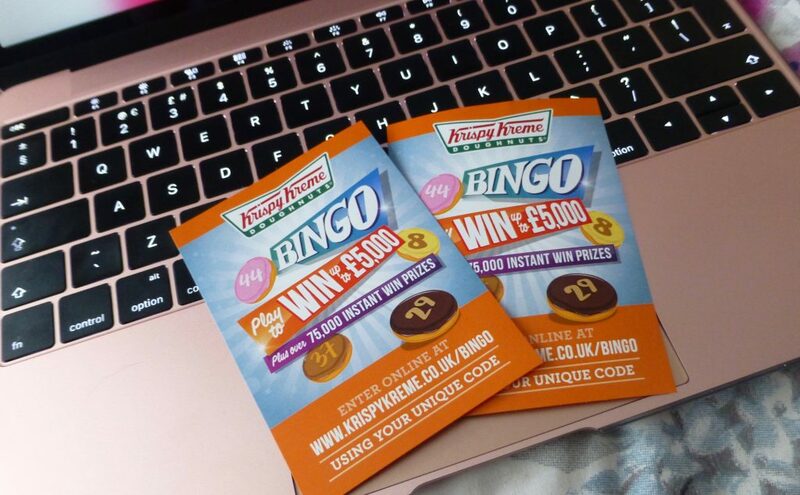 Nonetheless don’t forget to get your Krispy Kreme Bingo on, you have until the 4th September to be in with a chance of winning some prizes, unless I beat you to it!